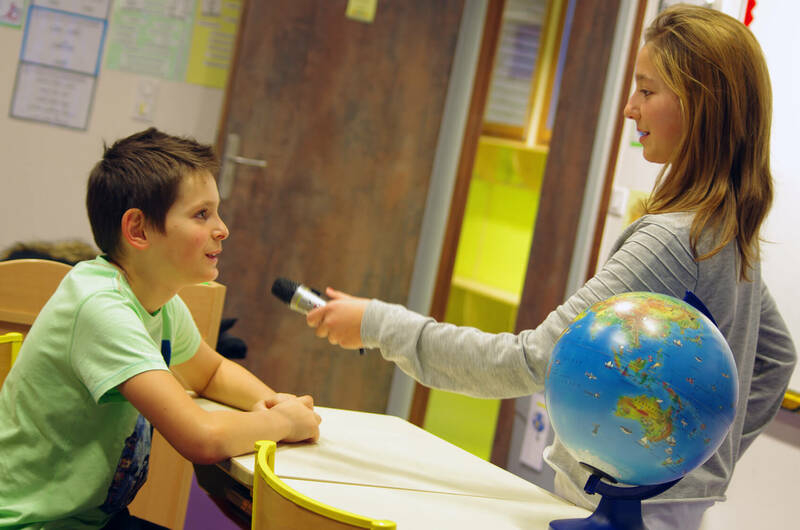 News interview – The purpose of a news interview is to gather as much information as possible and explain an event, situation or idea in the news format. Profile – This interview focuses on the individual. A news peg in the morning announcement can be used to justify the profile and give the production a more professional approach. Prepare carefully and familiarize yourself with the background and the subject as much as possible. Establish a rapport with the interviewee that is conducive to getting more information. Ask relevant questions that would induce the interviewee to talk more about a topic. How to conduct an Interview? 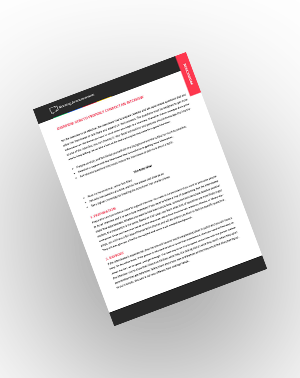 Everything you need to know in a free handout! Preparation and persistence make for a good interview. You need to be persistent if you want to persuade people to do an interview and it is even more important if you want to follow a line of questioning that the interviewee might find objectionable. Whether you want to interview a local hero, someone from the school board or another student, the preparation is the same. Based on their past, you learn what kind of questions are most likely to get a response. Once you have your hands on the resources, either from the internet, relatives, friends, or library clippings, you will have a fair idea of the tentative themes and will be able to use them to fashion specific questions. They will also give you a feel for the subject and some much needed background. If the interviewee is experienced, then he/she will have no trouble expressing ideas in public and you will have a story. On the other hand, if the person is reluctant to talk or is not that experienced, then you need to find ways to ‘break the ice’, so to speak, and get through. The best way to do it is to spend some time with the person before the interview. Get to know their likes and dislikes, what they like talking about, what they don’t, when they open up and when they get defensive. Talk to them about your own preferences so that they would feel like opening up. To put it simply, this part is not very different from making friends. Direct questions – Most of the questions flow from the main theme. If, for instance, you are interviewing a man from the community who has gone from rags to riches, you would ask whether he moved from his tenement house to a big one, whether he made any big personal purchases recently and how his family feels about it. These three questions are enough to induce the interviewee to talk at length. Open ended/closed ended questions – Open ended questions are excellent for opening an interview. These are not intended to have a specific answer and allow the interviewee to relax. An example would be “What do you think of your school?” or “How’s your morning been going so far?” Closed ended questions, on the other hand, are designed to have a specific and pointed reply. It can be quite threatening if you ask these towards the beginning. You need to balance both to make sure that the interview is engaging. Junk questions – It is not always a good idea to tell the interviewee what you know till you get it out of the horse’s mouth. If you ask an important question and notice that the person is getting fidgety, then move away from the question and talk about something trivial and entertaining. Then come back and ask the pointed question again. You might be surprised to know how well this simple technique works. Like we pointed out earlier, it is all about getting the interviewee to relax. One of the ironies of life is that of all the four essential communication skills – writing, reading, speaking and listening – the one that is learned first, listening, is usually taught the least, whereas writing, which is learned last, is taught the most. Listening requires concentration and can be exhausting. It also needs discipline, patience and understanding. You need to maintain eye contact with the interviewee while ensuring that your body language is reassuring. At the same time, you need to watch whether the interviewee is faltering or drifting away. All of this might sound complicated, but it just takes a little practice and once you get it right, you will be tempted to do it more and better. Last, but not the least, use the power of silence. Do not be afraid to give a pause if you ask the interviewee a personal question. Don’t feel the need to top it off with another question just because the person is silent. A pause can be reflective and can get the interviewee to open up. After all, you need to remember that they are just as nervous as you are. That empathy is the final ingredient and the one that makes any great interview stand out. What are the very basics of a good interview? Our handout provides an overview!